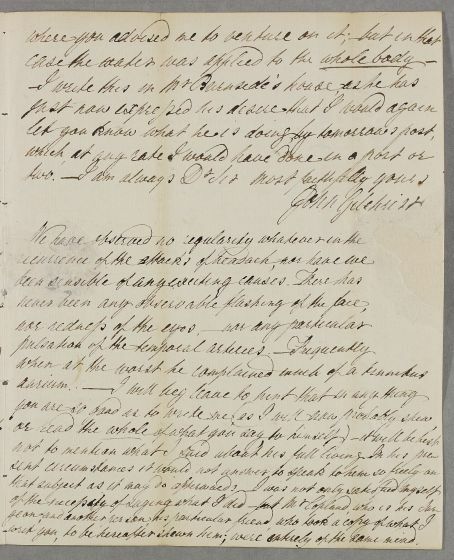 Letter from John Gilchrist, concerning the case of Rev. William Burnside, who is better than he was but still suffers from sweating of the head, headaches and a throat ailment. Gilchrist writes: 'it will be best not to mention what I said about his full living. In his present circumstances it would not answer to speak to him so freely on that subject as it may do afterwards.' 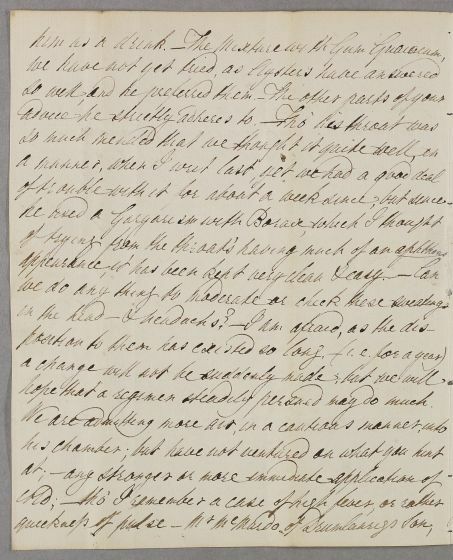 The letter also refers back to their treatment of McMurdo of Drumnlanrig's son (see case 1732). 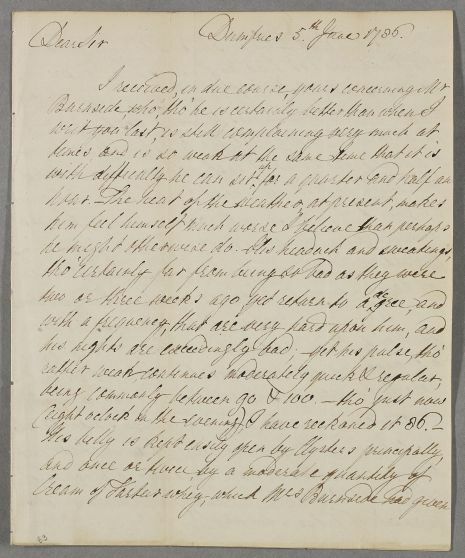 Summary Letter from John Gilchrist, concerning the case of Rev. William Burnside, who is better than he was but still suffers from sweating of the head, headaches and a throat ailment. Gilchrist writes: 'it will be best not to mention what I said about his full living. In his present circumstances it would not answer to speak to him so freely on that subject as it may do afterwards.' 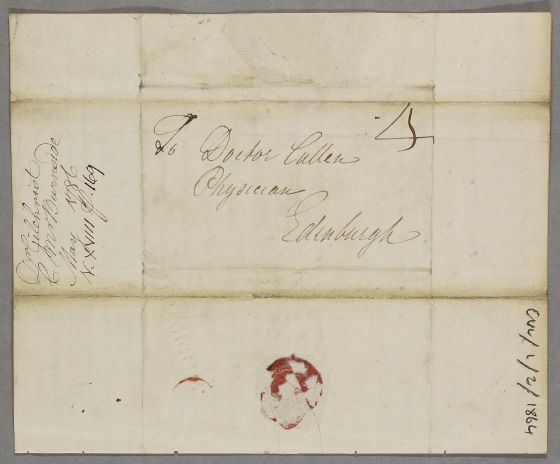 The letter also refers back to their treatment of McMurdo of Drumnlanrig's son (see case 1732). Case of the Reverend Burnside who is left weak from a history of headaches and attacks of sweating. Case of young Mr McMurdo of Drumlanrig who has a fever. I received, in due course, yours concerning Mr.
hope that a regimen steadily persued may do much. writ you, to be hereafter shewn him; were entirely of the same mind.